Summer School & Hauner Research Days: Intensifying international cooperation within and outside the Thematic Network "Research for Rare Diseases and Personalised Medicine"
The annual meeting of the Thematic Network "Research for Rare Diseases and Personalised Medicine" based at the Dr. von Hauner Children's Hospital took place within the frame of the Summer School "Genetics and Immunity - lessons from children with rare diseases of the immune system". Collaboration across national borders is of paramount importance in the field of rare diseases - due to the need for individualised therapies. 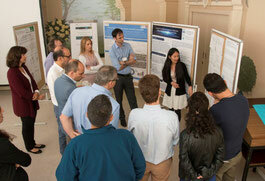 This second joint meeting of the project partners was held in conjunction with a meeting of the Helmsley consortium in which the individual working groups exchanged current researchresults. 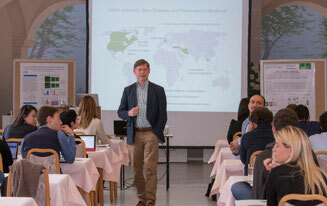 Hauner Children's Hospital, Munich) introduced an overview of the activities of the network so far, such as guest lectures, exchange scholarships and the kick-off workshop in autumn 2015. Scott Snapper (USA), Aleixo Muise (Canada), Roya Sherkat (Iran), Raz Somech (Israel), Kanya Suphapeetiporn (Thailand) and Ekrem Ünal (Turkey) discussed the possibilities of intensifying the cooperation. The individual centres offer different methods which enrich the Thematic Network and its work. A variety of new ideas have been developed, from the deepening of the training to the regular exchange over individual cases. This will take place not only during the annual meetings and in the subsequent poster sessions, but also through digital case conferences. In the context of the Hauner Research Days, the local research groups which are based at the Children's Hospital, participated in the Summer School in order to draw inspiration from the exemplary cooperation of the Thematic Network. Within the framework of the matchmaking program, the research group leaders informed the international researchers as well as young colleagues from clinic and research Units about their projects and opportunities for cooperation. The DAAD partners from Thailand, Israel, Iran and Turkey presented their partner institutes in the session "How research can benefit from international networks - the example of DAAD". Everyone agreed that possible language barriers had to be overcome and the openness of the institutes gave the exchange scholarship students valuable experience in all areas of research. In particular, Roya Sherkat (Isfahan, Iran) reported on her own experiences with complex cases, which led her to seek further expertise in international exchange. An insight into the different frameworks and fields of clinical research worldwide can enrich every individual scientist, open up the prospect of one's own work, and make new approaches possible in research. 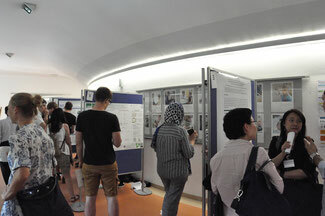 In the end, we were able to look back on a successful first year of DAAD funding and were able to inspire the about 100 participants with new ideas for international research cooperation.